Neck pain can be quite a problem especially if it goes unchecked. While it is advisable to get a consultation with your doctor especially if the neck pain is a direct result of an accident or other injuries, but if the causes are neither of these then simple home remedies for neck pain can usually help. However, before trying out any of the home remedies for neck pain, it is crucial to check the remedy with your physician so as to ascertain its usefulness your particular situation. The neck is one of the most mobile parts of the body and as such tends to be particularly vulnerable to strain and stress. As such, it is very common for someone to experience mild forms of neck pain from lying in an awkward position while sleeping. Nonetheless, one of the most useful neck pain home remedies is through the use of ice packs or a cooling pad. While most people may think that it may better to use a heating pad, it has been proven that cooling pad is more effective than a heating pad. This is because the heating pad tends to dilate blood vessels causing more swelling around the affected area. Thus, it may make the area more painful than it originally was. The use of a cooling pad or ice packs intermittently for 48 hours on the other hand, has proven to be a better remedy for most neck pain cases. Another useful home remedy for neck pain involves practicing simple exercises that focus on the neck region. You will be amazed at how quickly you will recover by simply practicing out such simple strengthening and stretching exercises. This is attributed to the fact that such exercises increase the flexibility and strength of the neck and thus, avoid any rigidity. 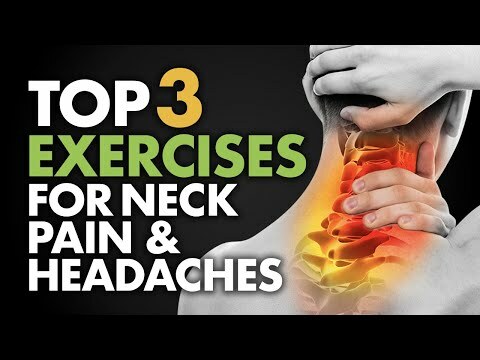 In order to prevent any further aching besides using these home remedies for neck pain, one should also practice proper sitting and sleeping posture which includes avoiding slouching as well as head-forward posture. Read also about home remedies for back spasms here.